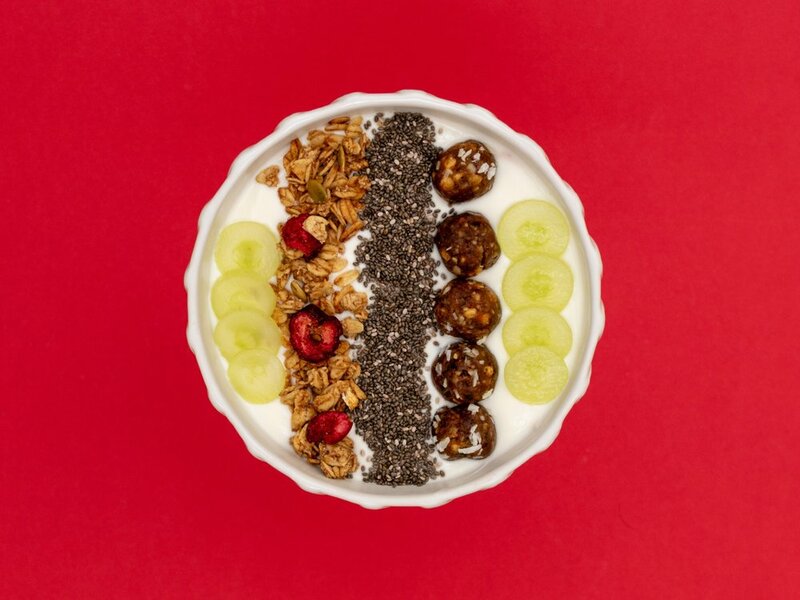 Add natural yogurt to your bowl and place the other ingredients in lines next to each other on top. That’s it. A healthy, tasty and simple post-workout bowl! Choose your favourite breakfast bowl. Add coconut yoghurt to it. Pour a handful (or more) Cherry Bomb granola on top. Wash the berries and add them to your bowl.